It’s that time of year again when the all important Secret Santa gift must be purchased for one of your lucky colleagues. Selecting the right present can play a vital role in your career, especially if you have the Managing Director to buy for…That’s why we’re here to help you out. Jokes aside, it can be difficult making the right choice. A Secret Santa gift is generally a funky new gadget or a nice lifestyle accessory. 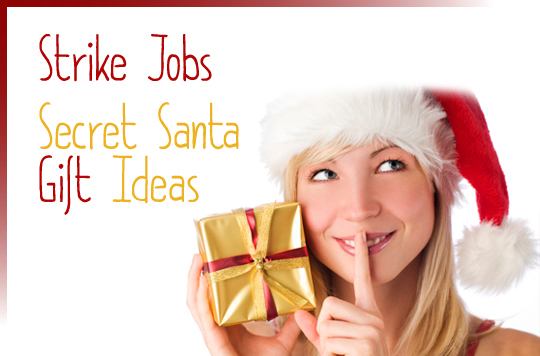 At Strike-Jobs, we have madly scoured the world.wide.web and carefully selected some of the top Secret Santa gifts to help give you some ideas. Follow this link to find our best selected Christmas Secret Santa Gift Ideas. HAVE FUN!! !….and good luck finding the right gift for your colleague.